Participants in the Maslon UPLIFT: Legal Institute for Teens mock trial stepped into the spotlight last week for trials in State v. Palmer, a manslaughter case involving pranking people to make videos of them. Maslon UPLIFT is a legal diversity pipeline program created to serve middle school students who reflect the rich diversity of the Twin Cities. 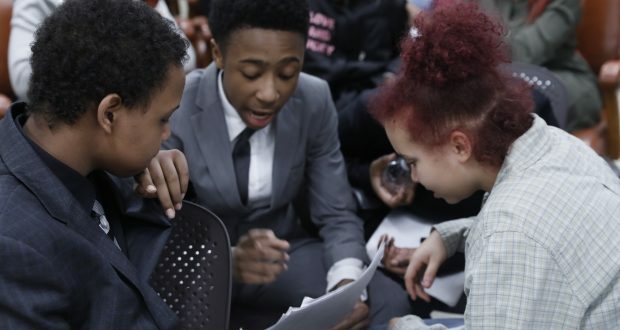 The after-school mock trial program is taught by volunteer attorneys who have spent much of the academic year instructing students on key criminal law and practice concepts.